Happy 2013 everyone! What did you do to ring in the New Year? This year I decided to keep it pretty low key and stayed in with my family and my little man. It’s so cold up north that I really didn’t want to step outside in the 0 degree weather either! However, I have been enjoying being able to throw on my layered clothing as you may know already. I went out to lunch with a friend today and did a little shopping so I threw on a simple little black dress with some tights and my trench coat. There’s something about a little black dress that remains classic and can be styled so many different ways. 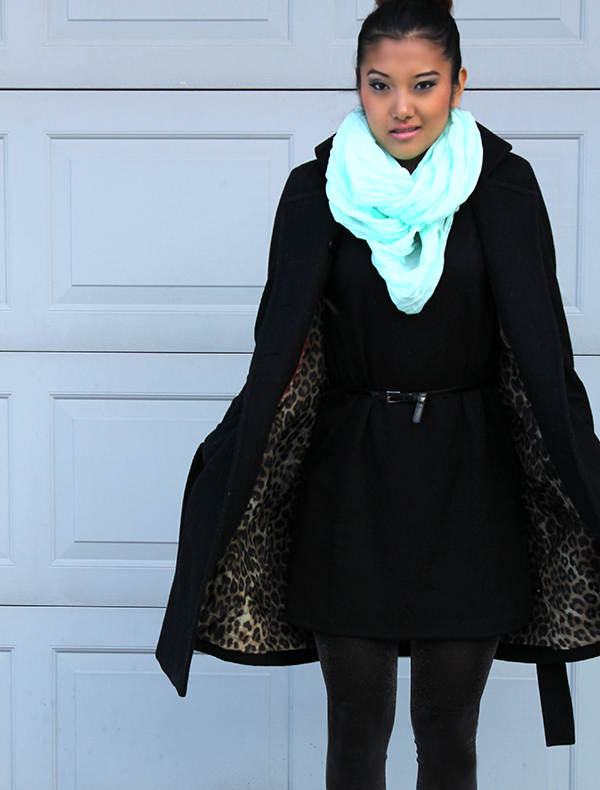 One of my favorite trends this season is the trench coat, which is another classic for the winter season. 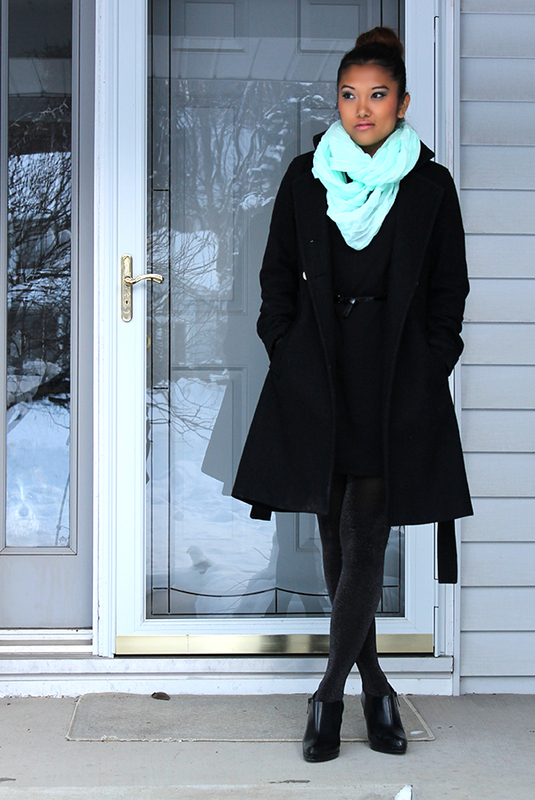 I added a minty scarf to give the look a little pop of color as well. 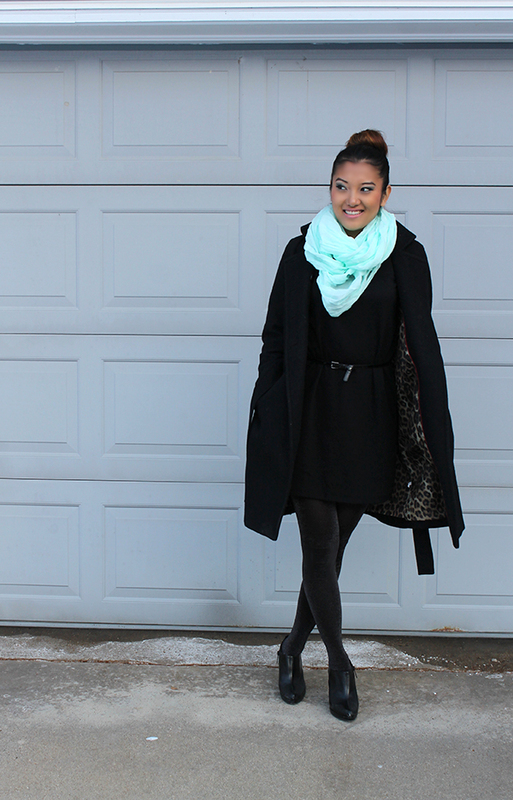 What are some of your favorite trends for the winter?